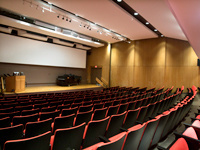 WOC is hosting this year’s MountainFilm Festival on 4/20. Doors will open at 6 pm, and the event is free and open to all students! 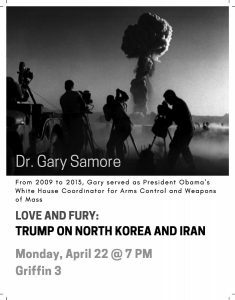 The showing will begin at 7pm on April 20th in Brooks Rogers Auditorium; hope to see you there! 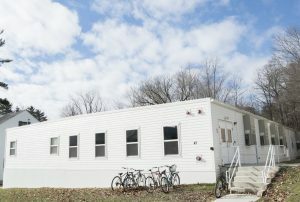 Williams' first and only contradance of the year will be held this Saturday, April 20, from 8-10 PM in Baxter Hall. Everyone is welcome -- all dances will be taught and no experience is necessary. See you there! 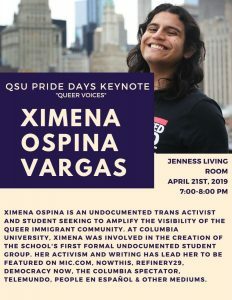 Join QSU's Keynote Speaker Ximena Ospina Vargas, an undocumented trans activist and student seeking to amplify the visibility of the queer immigrant community. 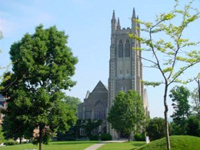 Please join us for noon meditation in the zendo (lower level of Thompson Chapel). Sitting starts promptly at noon, ends at 12:30. No instruction or service. All are welcome. 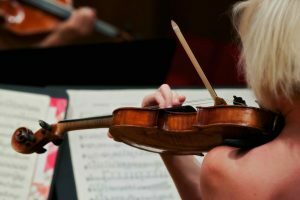 Students of Joana Genova offer an evening of solo violin music. 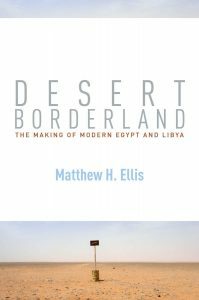 Matthew Ellis '03 (Sarah Lawrence College) and Magnús Bernhardsson (Williams College) will speak in conversation about the politics of national borders in the modern Middle East. 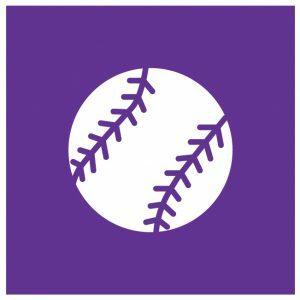 Baseball on Apr 23, 2019 at 4:00 PM: Williams vs. Southern Vt.